Barcelona star Gerard Pique said he is worth more than Espanyol's budget for this season. Saturday will see LaLiga champions and leaders Barca host rivals Espanyol in a derby clash at Camp Nou, and Pique stoked the fire. 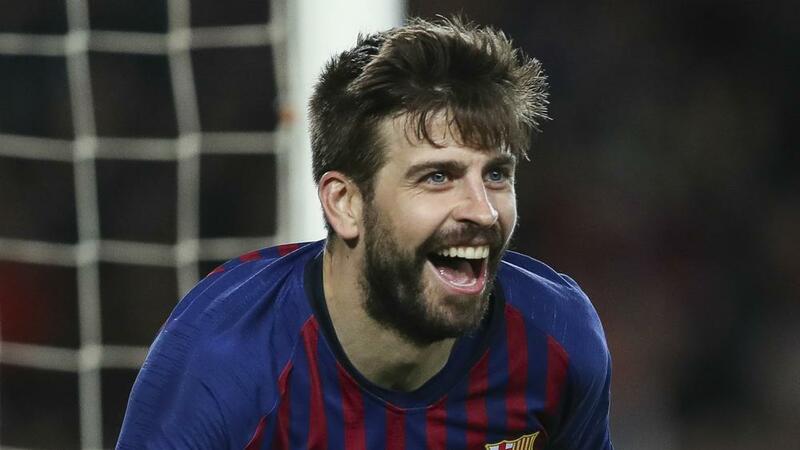 Pique – who has won seven LaLiga titles and three Champions Leagues since arriving in 2008 – told Movistar+ program 'La Resistencia': "I have more money than the budget of Espanyol this year. "Nope, not just €57million, it's plenty more than that." Meanwhile, Spanish defender Pique added that former team-mate Zlatan Ibrahimovic loved "money more than anyone else on Earth". Ibrahimovic spent a season at Barca before the Swede moved to Serie A side AC Milan, initially on loan. Asked about Ibrahimovic, the 32-year-old said: "He is the guy who loves money more than anyone else on Earth. "He told us one day 'Money is not the most important thing'. We did not say anything, and then he finished: 'Having a lot of money is the most important thing'."